According to the GE website, the GE washing machine brand is designed to provide the user with an efficient, high performing and convenient appliance. 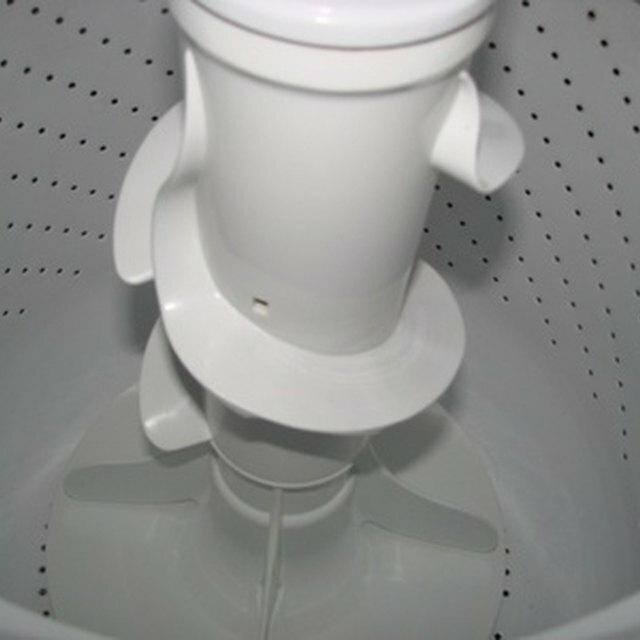 If your GE washer is not spinning and if you hear constant humming, then the motor could have gotten stuck or damaged. If you are unable to spin the motor, contact a local GE manufacturer for a replacement. Refer to the owner's manual before disconnecting and rewiring the motor. Disconnect the washer from its power source. Slide a putty knife underneath the top panel, stopping in-line with the lid's groove, to hit the unlatch switch. Remove the washer's front panel. With the washer lid open, run a flathead screwdriver underneath the top, right panel. Press on the switch to dislocate the top panel. Once inside the unit, locate the motor -- the silver, cylinder shape gadget -- that is attached to the driver belt. Spin the belt with your hand. If the belt refuses to turn, replace the motor. Disconnect the wires with a set of needle-nose pliers. To disconnect, clip the two wire leads from the wiring harness. The wires are held in place with metal slip-on connectors. Grasp the connectors with the pliers, then pull on these connectors to remove the wires. Do not pull on the wires themselves. Remove the motor's 3/8-inch mounting bolts with an adjustable wrench. Tilt the motor back, then lift it out from the driver belt. Mount the replacement motor. Reattach the wires into the connectors by inserting the color-coded wires -- red, blue and yellow -- to their designated connectors. For example, connect the red wire to the red-tip-colored connector. Repeat reattachment for all other wires. Reassemble the front panel and lid.